Is your site one of the first to be moved to the mobile-first index?? Since May 2015, when mobile searches surpassed desktop searches on Google, the need for more relevant mobile search results became abundantly clear. Google’s industry-shaking response to the mobile movement is the impending mobile-first index. According to Google’s John Mueller, a handful of sites are already being tested in the mobile-first index and there’s now a method for understanding if your site has moved: SEO log file analysis! Google’s Mobile-First Index Has Arrived! Mobile searches surpassed desktop searches two years ago and the growth in mobile search is still on the rise! Botify’s recent white paper, Mobile Roars, SEO Visits Double: Black Friday 2017 Analysis found average mobile traffic to be 56% during Black Friday this year. The mobile-first index is a major shift in the way the Google discovers, evaluates, and prioritizes content (aka, the way Google crawls, indexes, and ranks content). Historically, Google has used the desktop version of a page’s content to evaluate content relevance. Desktop content isn’t necessarily relevant for mobile search so relying on desktop content for all search results can create a poor experience for mobile users. 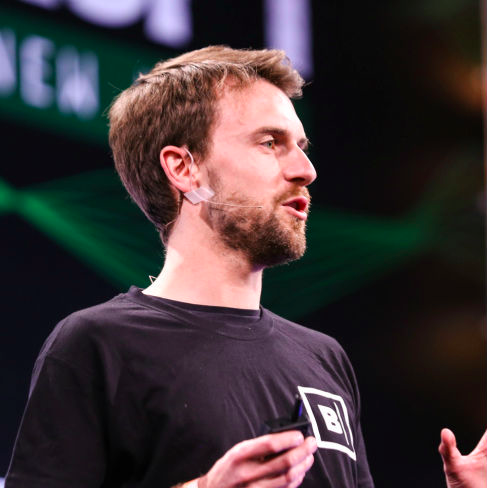 To remedy this disconnect, Google got to work creating its mobile-first index which will use the mobile version of a site’s content to decide rank. Google announced the mobile-first index in 2016 but, despite palpable anticipation in the SEO industry, did not share a timeline for its release. Yesterday, John Mueller discussed on a Hangout that Google has starting testing a handful of sites within its mobile-first index and revealed how SEOs can identify when they’ve made the transition! A few sites have made the move to Google’s mobile-first index and the rest of the web is close behind. How do you know when your site has transitioned? 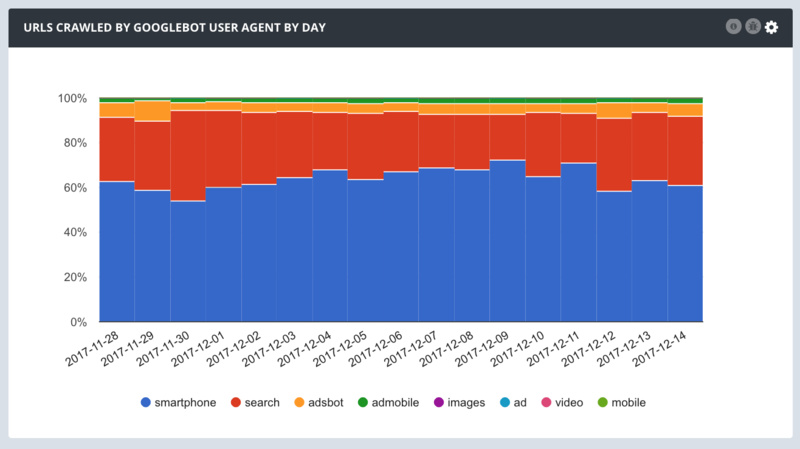 John explains that on an average site about 80% of the crawl is from Googlebot-desktop and approximately 20% is expected from Googlebot-smartphone. Once your site has been transitioned to the mobile-first index, you will see that majority reverse. Googlebot-smartphone will be crawling your site more than Googlebot-desktop as in the example below. Your log files give you a complete, accurate picture of exactly how search engines are crawling your site. Raw log files are dense and difficult to interpret, especially for large sites. Use an SEO log file analyzer like Botify Log Analyzer to get a clear picture of how Google is crawling your entire your site. Analysis of your complete log files will capture the shift in the way your site is crawled. The key is to look for changes in your crawl as in the example below. 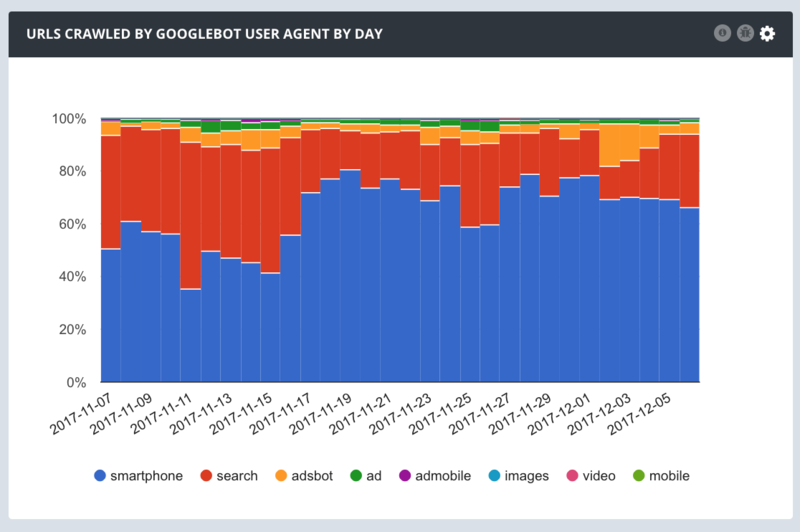 Take notice of dramatic increases in the percentage of Googlebot-smartphone crawl to identify when you’ve been moved to Google’s mobile-first index. Make the Most of Mobile-First! Optimize crawl budget to maximize mobile crawling. Use your log files for crawl budget optimization opportunities including managing orphan pages, addressing crawl errors, and improving internal linking. Crawl and optimize AMP pages. Botify is the only SEO platform to discover and crawl AMP content. Use mobile crawl insights to improve content quality, site structure, and relationships between AMP and complementary desktop pages. Use real mobile rankings to inform device strategy. Compare mobile vs. desktop queries. 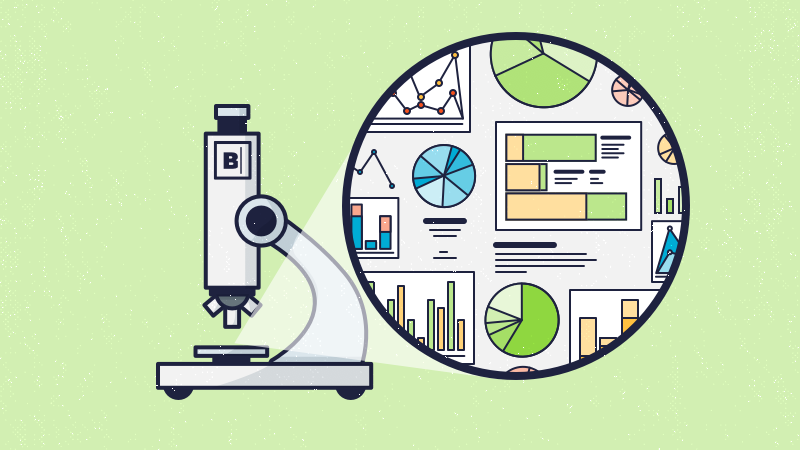 Identify differences in impressions and CTR by device to target content to real user queries. We’ve heard the mobile-first mantra for years but with this recent move to the mobile-first index, true prioritization of mobile is crucial. Those who are creating well-optimized websites that can be crawled, indexed, and ranked by Google will come out on top. Partner with Botify to benchmark and maximize your mobile performance. Botify gives you access to SEO log file analysis paired with a sophisticated mobile-capable crawler and actual user queries. Book a demo today to learn how we can support you in your move to the mobile-first index.